The OPCA held their 22nd annual conference March 7-9, 2016 in Toronto at the Four Points Sheraton Hotel. The schedule included manufacturer training, safety forum and annual general meeting at the conclusion of the three-day event. 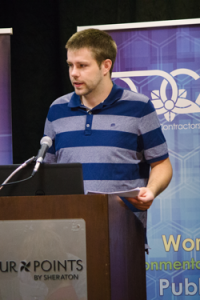 The conference was held in conjunction with the Convenience U / Carwacs trade show. The show was held on March 8th and 9th at the International Centre in Toronto. 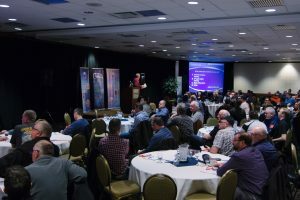 The conference opened with manufacturers from Canada and the US providing training sessions on various petroleum equipment such as petroleum transfer piping, fueling containment systems and fuel management systems. The sessions were provided by Franklin Fueling Systems, OPW, Red Leonard & Associates, Containment Solutions, Icon, PD McLaren, Morrison Bros., and Computrol. The OPCA is grateful for this collaboration with the manufacturers as these sessions keep our members and their employees up to date on the latest industry technology and necessary certification. The second day of the conference began with a safety forum hosted by the OPCA and centered around the Petroleum Oriented Safety Training (POST) program, a national behavior based safety program specific to the petroleum industry. Also, special thanks to Rob Rivers of Claybar Contracting, Russ Porter and Mike Lamont of National Energy Equipment and Scott Eadie of SAS Petroleum for helping us organize the event. Also, special thanks to Russ for doing a terrific job as Master of Ceremonies. There were a number of presentations given at the forum. 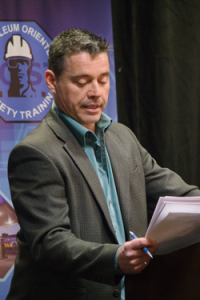 Rob Rivers spoke on the role of supervisors emphasizing their responsibilities on the job site and providing good leadership and a lead by example behavior in the workplace. Mike Lamont gave a presentation on forecourt safety including the importance of following POST barricading procedures showing examples of accidents when protocols are not followed. Cindy Phillips of Washtech presented their companies “Work Alone” mobile app. The app monitors service technicians working alone by prompting them to check in periodically and alerts their office if they miss a scheduled check in (stay tuned for more information!). John Aird of Ontario’s Workplace Safety and Prevention Services provided an overview of occupational health and safety issues and legislative developments impacting petroleum contractors such as Working at Heights, WHMIS (and the global harmonization system), the new Joint Heath and Safety Committees Certification Standard and new noise regulations coming into effect. 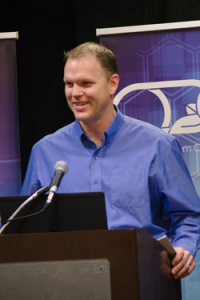 Information including John’s presentation is available on the OPCA website. The OPCA also developed a survey to ascertain the audience’s level of engagement with respect to safety and POST philosophy. The survey was conducted by Ron Ballantyne, consultant for the OPCA. Audience members were polled in real time and results were displayed immediately for discussion. It provided some positive insight on everyone’s commitment to safety. A video of this presentation is available through the POST website at posttraining.ca. Our keynote speaker for the forum was Workplace Safety Advocate Candace Carnahan. 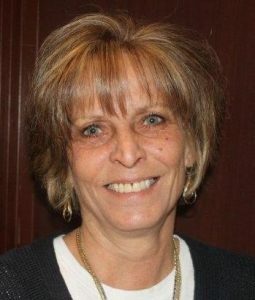 In keeping with the theme of POST, Candace used her own experience of a devastating workplace accident to inspire people to have the “Courage to Care” through standing up for others. 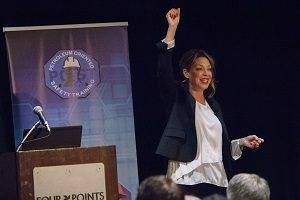 Candace’s energy and passion for safety definitely left an impression with the audience. That evening, OPCA hosted a dinner with entertainment provided by the extremely talented comedian Big Daddy Tazz. A special thank you to members National Energy Equipment, KMD and Waleco who hosted hospitality for members afterwards. The final day, members were invited to breakfast before launching into the OPCA Annual General Meeting. OPCA Vice-President Phil Hughes took on the role of Chair for the meeting in place of OPCA President Gord Thompson who was unable to attend. Gord announced his retirement as President, however will continue on the Board in the Past President role. On behalf of the Board, Phil thanked Gord for his years of service to the OPCA and noted hopefully Gord will be in attendance next year to acknowledge him appropriately. Several guest speakers were on hand for the AGM including Ann-Marie Barker and Zenon Fraczkowski from the Technical Standards and Safety Authority who provided an update on the changes to the new Liquid Fuels Handling Code. Sarah Jeffrey-Hampton of the Ministry of Government and Consumer Services was also invited to provide a brief overview of their role between TSSA and stakeholders. Lisa McClemens from Environment and Climate Change Canada made a presentation on requirements for work on Federal Lands including an overview of storage tank systems under Section 209 of the Canadian Environmental Protection Act. Ms. McClemens and her group have been very active with industry in ensuring regulations are communicated and the OPCA is very grateful for their continued participation. 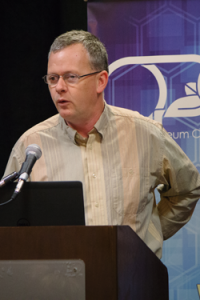 David Mason of Canada Brokerlink and administrator of OPCA’s insurance program provided a recap of the insurance industry over the past year including an update on OPCA’s insurance program for members. The OPCA invited Threads of Life representatives Lorna Catrambone, Regional Development Coordinator for Central Canada and Patti Penny, volunteer speaker to attend as our special guests. The OPCA has been proud to support such an important organization as Threads of Life, a very special organization that promotes safety in the workplace and supports families who have suffered a workplace fatality, traumatic life-altering injury, or occupational disease through many of their programs across Canada. To date, the OPCA has raised over $15,000.00 for their organization through our annual Golf Tournament. Volunteer speaker Patti Penny shared her emotional story on the tragic loss of her son from a workplace incident, stressing the importance of workplace safety and that incidents are preventable. The meeting concluded with members engaging in roundtable discussions on issues affecting the industry as well as their companies. The OPCA reviews this information to ascertain any issues that need to be addressed on behalf of the members, specifically to industry regulators. The OPCA would lastly like to thank all of the sponsors who either made a financial contrbituion or prize donation. All funds provided go directly to the prize draw. There were loads of fantastic prizes including a large screen TV, several iPads, Apple watch and numerous gift cards. Everyone also went home with an OPCA t-shirt. We have already started planning the 2017 conference to take place March 7-9 at the International Plaza Hotel right across from the Toronto Congress Centre; the new venue for the 2017 Convenience U/Carwacs Show. We will also be host to the CPCA Annual General Meeting, so please make sure to join us and help us welcome our fellow members from across Canada. See you in 2017!